Joe is a Doctor of Physical Therapy and co-owns Cape Cod Rehab with his wife, Kathy. Obtaining his BS in Physical Therapy from Boston University, MS in Management from Lesley University and his Doctorate from EIM Institute of Health Professions, he is a lifelong learner. Board Certified as a Sports Clinical Specialist, Joe is also a Grand Master Instructor in the Burdenko Method. During his career he has worked at Sports Medicine venues including Olympic, World and National Championships as well as semi-pro, regional and local competitions. Joe's focus has always been on working with individual patients from all walks of life, athletes and non-athletes from the little leagues to Major Leagues and helping them overcome their injury and return to their sport or activity. Joe continues to run marathons as part of the Miles for Miracles Team raising money for Boston Children's Hospital. He knows what it takes to help athletes get to the level they desire. 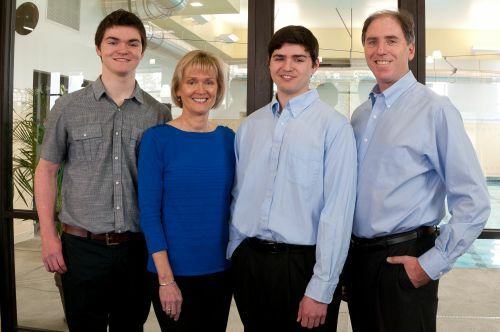 Kathy is the co-owner of Cape Cod Rehab and received her BS in Physical Therapy from Northeastern University and her Doctorate from EIM Institute of Health Professions with a concentration in Musculoskelatal Management. Doctor Carroll is also Certified as a Level 1 Medical Professional through the Titleist Performance Institute (TPI) for golf fitness and injury prevention and a Certified Burdenko Method Instructor. She enjoys working with patients of all ages and with all types of orthopedic and sports injuries incorporating manual therapy techniques, land and aquatic exercise as well as kinesiotaping techniques. In addition to her clinical duties, Kathy is Cape Cod Rehab's Administrative Director, managing human resources, accounting and payroll. Kathy is a runner competing in races up to half marathon distance and knows what it takes to recover and stay injury free. "Allow your body time to recover between workouts, and, no matter what your sport, incorporate core strengthening exercises. A strong core will lessen your chance of injury and help improve your performance."